It’s difficult to discuss Broods without inviting the obvious Lorde comparison, such is the inescapable power of the young popstar’s debut album. All eyes are now on New Zealand. Yes, brother-sister duo Broods also hail from New Zealand, share songwriter Joel Little with Lorde (responsible for Royals) and similarly operate on the alternative pop end of the spectrum, but their music is altogether more…well…brooding. Moody, atmospheric synths and soft electronic beats from Caleb form the backdrop to Georgia’s gently ethereal vocals, whilst their lyrics eschew Lorde’s punky, youthful aesthetic for something more downbeat and sad. “And you escape me like it’s nothing, like words I never should’ve said”, Georgia laments on Never Gonna Change. It’s the latest track from the duo – a haunting, electronic ballad – following their debut Bridges, whose sparse verse beats soar unexpectedly into an expansive chorus. Having just signed to Polydor in the UK, Broods will be releasing an EP later this month and a debut album (produced by Little) in the summer. 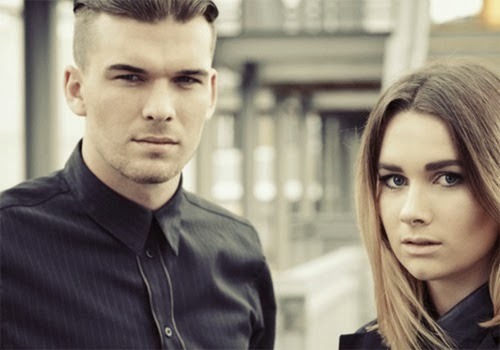 They might be following in Lorde’s wake, but Broods are likely to make a big splash over here that’s all their own. Listen: Never Gonna Change and Bridges will appear on the duo’s forthcoming EP, released on 28th January.